It is my pleasure & indeed a privilege to welcome you to the world of SVARN !! The golden era of Telecom Infra Industry had started when mobile started ringing in the decade of Nineties. It was then that I made up my mind to enter this industry and become the eyewitness to its growth. In 2005 I led my foundation of "SVARN"...which means "Gold". I thought let everything be as pure as Gold in my business world. The journey started...and step by step company has shown a sharp growth amidst stiff competition and tough business environment. Now, SVARN has completed its decade of operations and I can proudly say that our team has exceeded my expectations & has created a sort of history in the Telecom / IT / Wires and Cables Industries in India and in the global markets. 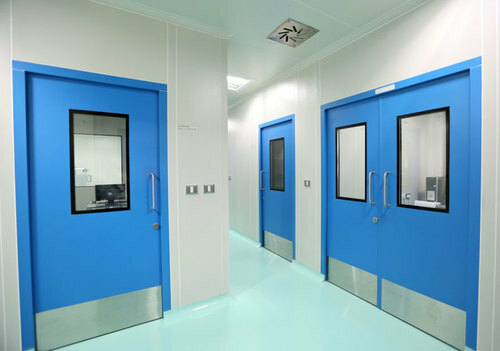 Today, Svarn has been pioneer in the world of Cold Chain Solutions wherein we deliver world class Modular Cold Room, Glycol Deep Freezer, Freezer on Wheels, Water Cooler, Prefab PUFF/PIR Panels, Sliding Door, Swing Door, Hatch Door, Retail Outlets etc. This segment has been able to create a big brand image of Svarn in the process of diversification. Our diversification is powered by a strategy, hard work and technical adaptation which has facilitated SVARN Group rapidly striding to achieve a new pinnacle of growth. My focus has always been to implement new technology & innovation in my product lines. Our corporate culture is characterized by its ability to adapt quickly to our client´s needs and requirements. This is done by bringing a sharper focus to the requirements of the client and striving to leverage cutting-edge technology to provide the highest levels of service through cost-efficient methods. My continuous thought process is to sustain and build on the remarkable success that we have enjoyed since inception. I would strive to build strong relationship with all our customers, vendor partners and team members for their continuous patronage in Svarn´s growth.